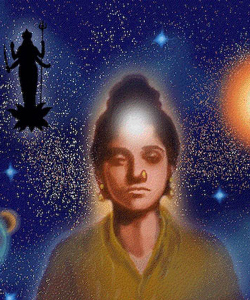 By Her late teens, Sudhamani was abiding in the experience of inner bliss. 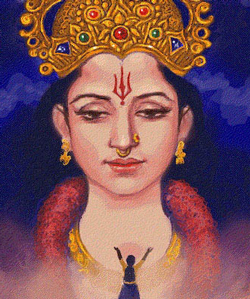 By 1975, at the age of 22, She was fully established in the state of Supreme Love. A significant incident occurred in September 1975 that lifted one veil from Her divinity. One day, as Sudhamani was walking home, holding aloft a bundle of grass, She overheard the final verses of the Srimad Bhagavatam from a neighbouring house. The reading had come to an end and the devotional singing had just started. 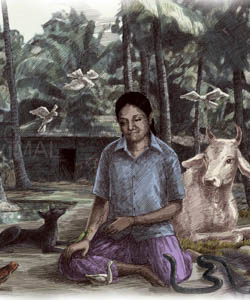 Sudhamani stopped abruptly, appearing to listen intently to the singing. 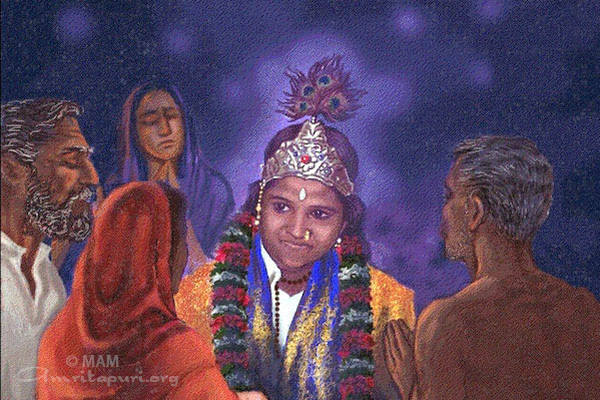 Suddenly, She ran towards where the devotees had gathered. 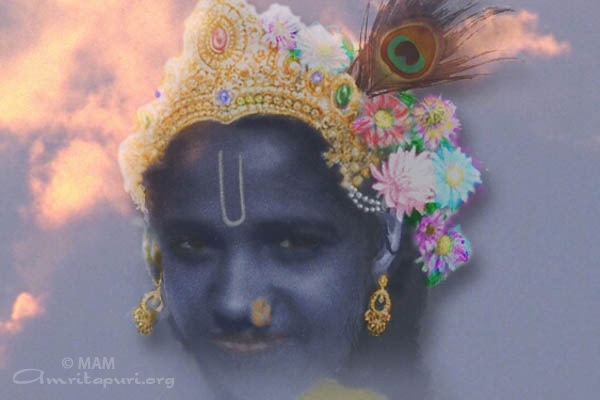 Overwhelmed by divine bliss, Sudhamani’s inner identification with Lord Krishna transformed Her features and movements into those of the Lord. 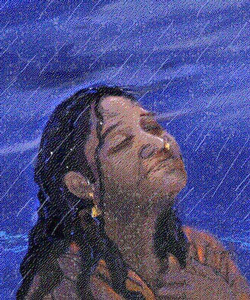 Thereafter Sudhamani regularly appeared in Krishna Bhava, during which people flocked to meet Her on the beach near Her home. But a group of youths from the surrounding villages, calling themselves the “Rationalists” were against Her and tried to harm Her. Seeing the harassment that his daughter was being subjected to, Amma’s father took pity on Her and converted the family cowshed to make a proper place for Her to meet people.